Mange is a skin disease found in many mammals and is caused by mites that burrow beneath the skin. a. Localized - usually isolated on the face, does not involve more than two body regions and no more than four spots total. c. Demodectic pododermatitis - confined to the paws, hardest mange to get rid of. Symptoms vary depending on the type of mange. 1. Cheyletiella Mange: identified by the dandruff dusting that occurs over the dog's head, neck and back..
2. Sarcoptic Mange: symptoms are crusty ear tips, fierce itching, and hair loss, particularly on the ears, elbows, legs, and face in the early stages. Later on, the hair loss spreads throughout the body. 3. Demodectic Mange: has 3 types of symptoms. (localized, generalized and demodectic pododermatitis) each one is explained below. ♦ Demodectic pododermatitis - bacterial infections usually accompany this condition which is isolated to the paws..
1. Cheyletiella Mange is highly contagious and is transferred by direct contact to other pets and humans. 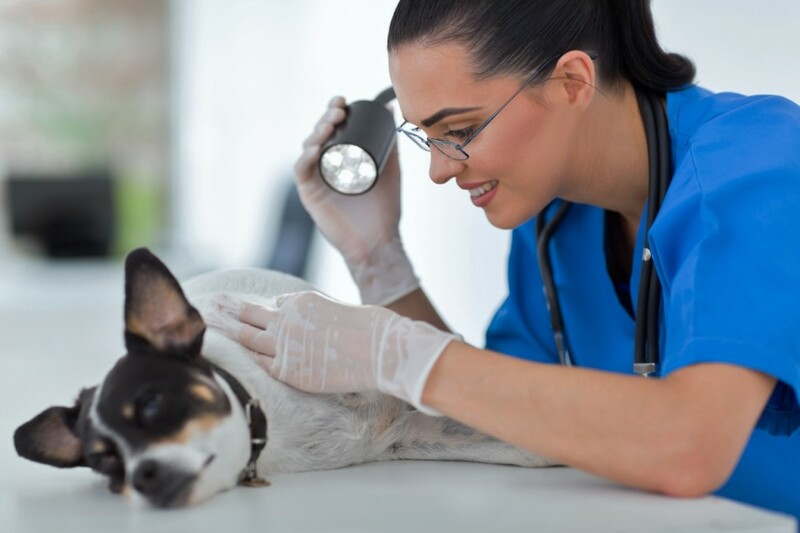 Mites are transferred through contact of either the dog or places where the dog as laid and left mites. 2. Sarcoptic Mange is contagious to dogs and humans. Mites are transferred through contact of either the dog or places where the dog as laid and left mites. Fortunately scabies in humans is self-limiting, that is the mite can burrow under the skin and cause itching, but cannot complete its life cycle on humans and dies within a few weeks. 3. Demodectic Mange is not considered contagious but under certain circumstances some contagion is possible to other dogs but not to cats or humans. Mange should be treated under the direction of your veterinarian no matter which form of mange. The following information is only to give you an idea of possible treatments. Please note that if your pet has mange that all of its combs, brushes, toys, bedding, any carpeting or upholstered furniture he has been on, etc. should be treated with an insecticide recommended by your veterinarian..
1. Cheyletiella Mange - medicated baths or lime-sulphur dips - applications of analgesic solutions, powders or ointments. 2. Sarcoptic Mange - Amitraz, Mitaban or lime-sulphur dips - Selamectin (Revolution) topical solution - Ivermectin oral medication. 3. Demodectic Mange - Below Are Basic Treatments for the 3 Different Types of Demodectic Mange. 1. Cheyletiella Mange - the vet will do a painless skin scrape and microscopic evaluation - these mites are large enough to be seen by the naked eye - they appear reddish in color..
2. Sarcoptic Mange - the vet will do a painless skin scrape and microscopic evaluation..
3. Demodectic Mange - the vet will do a painless skin scrape and microscopic evaluation - sometimes a biopsy is needed if the infection is too deep. It is the current theory that the mange mites are transferred to the puppies from the mom. The puppies will develop an immunity to them within a few weeks. These mites live on most of the animals but are not activated unless their immune systems become compromised. 1. Cheyletiella Mange - transmission by direct contact with an affected animal or where an infected dog has laid and left mites. 2. Sarcoptic Mange - transmission by direct contact with an affected animal or where an infected dog has laid and left mites. 1. Because mange occurs when a dog has a low immune system the best way to try to prevent it is to feed your pet a quality diet which will help it be healthier and more resistant to mange. 2. Know what mange looks like and what the common symptoms are so you'll know it when you see it in one of your animals. If you are vigilant, you can get it treated before it becomes a big problem or spreads to your other pets. 2. Check on the other pets that your pet comes in contact with. If your dog visits the neighbor's dog, watch for symptoms of mange in the neighbor's dog. 3. Keep your animals clean and groomed. If your pet is groomed regularly, any mite populations on your dog will be kept under control. Most dogs can and should be bathed monthly. Mange is generally found in young dogs whose immune systems haven’t fully developed or older dogs who have a weakened immune system due to an illness, stress or some other cause..